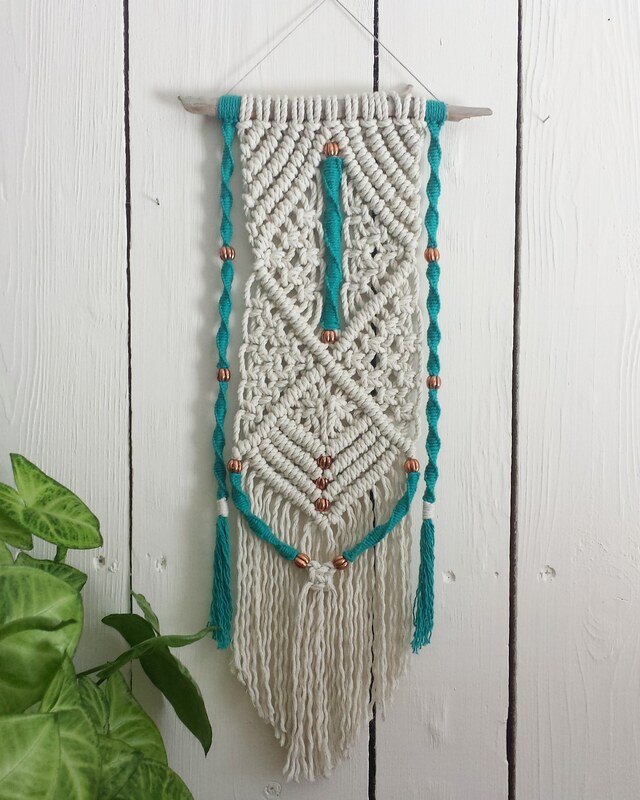 This was the third macrame wall hanging I created, and it was really a grand experiementation of clove hitch and square knots. I had no real idea in mind when creating it – I just went with the flow. I also went back repeatedly and untied a lot of my work and started over trying to get things right. I spent hours working on it and at times it drove me crazy, as if it had a life of its own and I was slave to give it form. It was really hard to walk away from, but life’s necessities (and my sore eyes and hurting back) demanded that I take break and remember that I was a real human with needs and a life outside of knotting. Work in progress. I had Mike Birbiglia playing on Netflix to keep me company. After many hours of trial and error, I finally finished it. 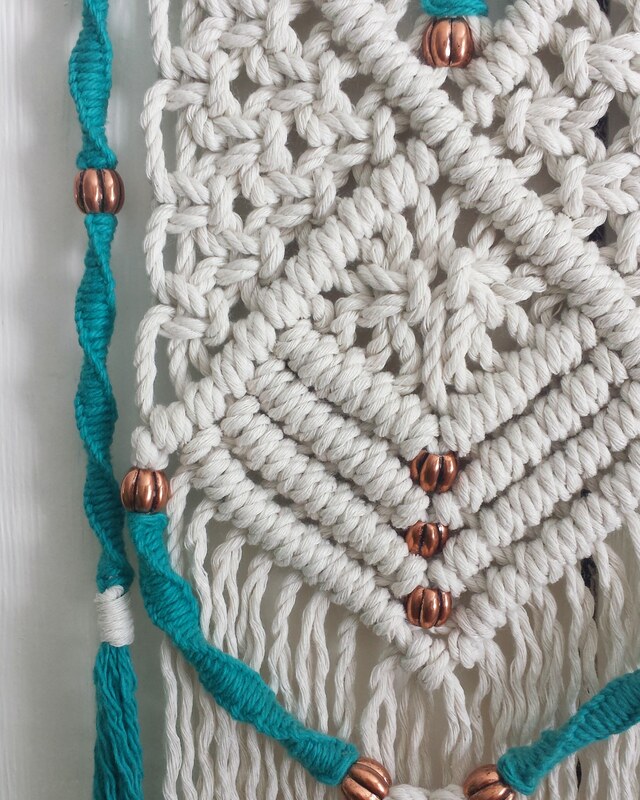 This was really the first macrame piece I experimented with. Although I felt driven insane trying to make it, I actually enjoyed the creative process immensely. I never knew what was coming next! The possibilities seemed endless, and that feeling is always quite exhilarating. At some point I felt like naming this piece Felicity, just because I liked how it sounds and it seemed fitting somehow. Felicity basically means bliss, and while this piece doesn’t inspire pure bliss in me, the creative process itself absolutely does. This wall hanging is a result of me “following my bliss”. 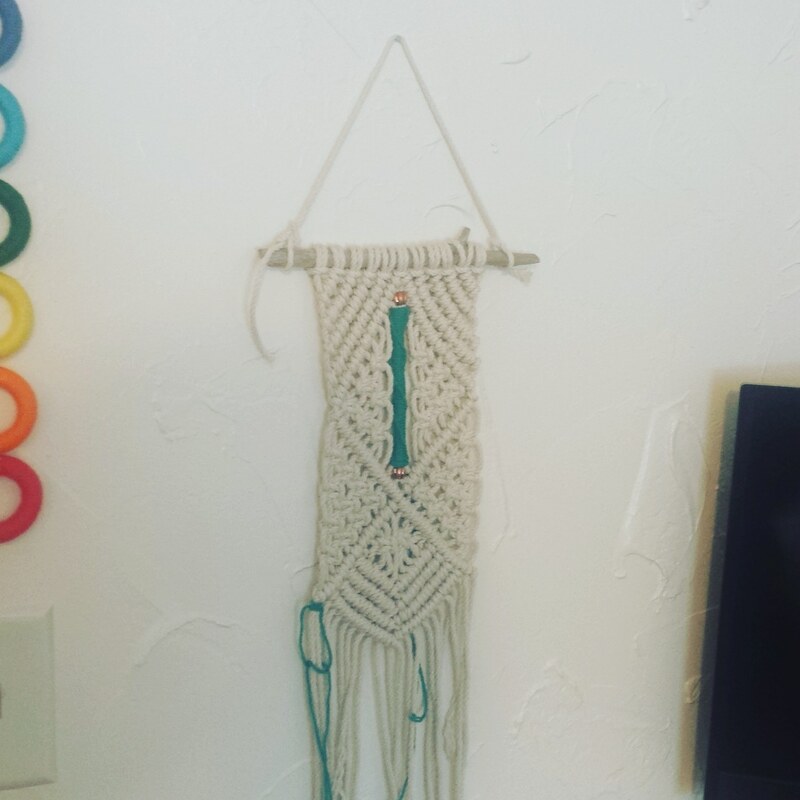 Macrame is currently my favorite creative outlet and working on this wall hanging is what really lit that fire for me. This wall hanging is available to purchase, email me at thegracefulbirch@gmail.com if interested.